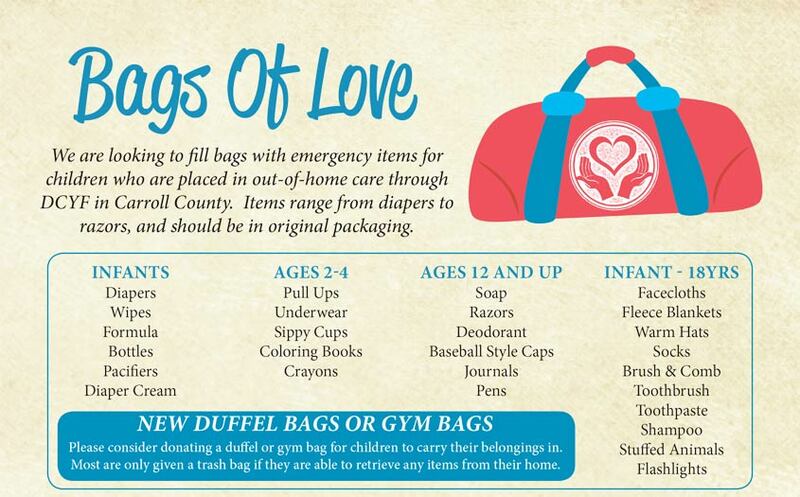 North Country Cares assists DCYF by providing emergency clothing for children as needed. We also help by providing them with age specific (0 – 18 years) bags or backpacks of toiletries and other necessities for children entering the foster care system. This helps the receiving foster parents and gives the children their own bags to carry their belongings in.